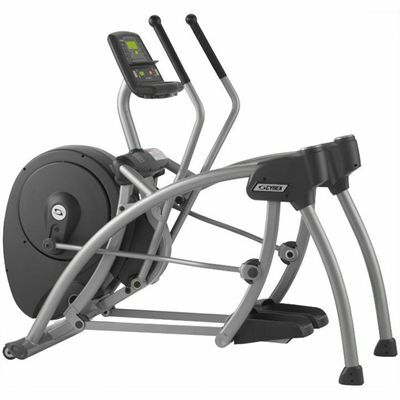 The Cybex 360A Home Arc Trainer is a top rated home arc trainer designed to combine the best elements of skier, climber, and a hiker. It is made to combine different exercises in a variety of ways. The Reverse Arc Motion technology enables this equipment to target the right muscles and engages the quads and glutes to burn more calories without much strain on knees, hip or back while offering complete range of motion for knees and hips. It offers 13 pre-set programmes, 11 incline levels and a resistance range of up to 450 watts. The Same Side Forward (SSF) technology ensures that the arm and the leg of the same side move together, This allows the user to always maintain optimal posture during exercise and virtually eliminates back fatigue. With this technologically advanced fitness equipment, you get more results in less time. The Cybex 360A Home Arc Trainer provides a safe and effective workout. Its wide variety of programs is designed to achieve each user's fitness goals. 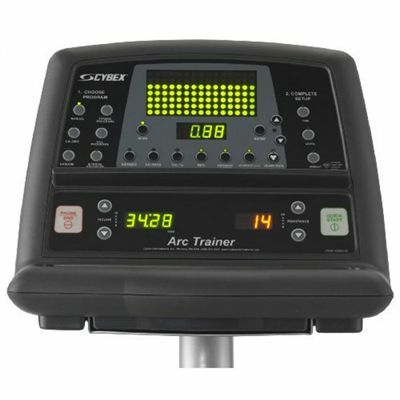 It is simple to use, the programs have a convenient split level display, Wireless heart rate monitoring and an exceptional range of choices to satisfy even the most diverse training needs. All Cybex machines include installation to a ground floor room of choice as standard. for submitting product review about Cybex 360A Home Arc Trainer.